The rank predictor for GATE 2017 is now live at http://gateoverflow.in/mymarks thanks to Pragy. You can know your marks, normalized marks and even expected ranks all of which are not mere prediction but a realistic estimate. You should not get much deviation from this but Pragy is trying to make an even better app. Please fill this form in order to receive any update happening like key being updated etc. As always we never spam users and you won’t be getting any other mail than what you subscribe for. For UGC NET Computer Science paper target a score of around 40/50 in paper-1 (where 5 questions each from IT,Data Interpretation,unseen passage, logical ability, teaching methodology are asked and they are of avg level and also one can leave 10 questions out of 60). Devote one day per week for First Paper. If u can score 38/75 (although one should aim for attempting 50/75 confidently) will do the job. For this section cover subjects like AI , DAA, CG, ,SE , Automata ,network , DBMS , OS ,Fuzzy logic/sets, OR. Maintain separate copy for each Subject ..
You can skip some parts of syllabus in Paper 3 (like compiler , op. research, DIP etc if u have not studied before)…. Most important thing, “Believe in yourself” never loose patience and hope. You will surely get success if u have worked hard as hard work never goes waste. 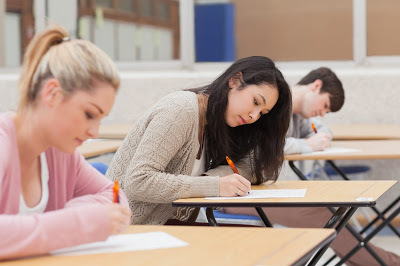 GRE sets two writing tasks (Analyze an Issue, and Analyze an Argument) collectively called the Analytical Writing Section (or Analytical Writing Measure). 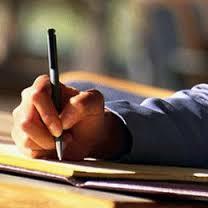 The tasks are designed to test critical thinking and analytical writing skills. The essays come first on the test – 30 minutes for the issue and 30 minutes for the argument. You have to type your response. Obviously there is no spell-check or grammar check available. It is a good idea to get someone to review your essays. Get feedback from a teacher or from someone with good language and logical skills. You will not get a good mark if you write too little. If you think your essays are too short, you can ask your reviewer for ideas on what else you could have included. Essays always need good transitions between paragraphs and good logical flow throughout ï¿½ someone else could spot where you could have improved the flow. A few minor lapses in spelling and grammar will not count too much against you, but a mostly error-free response will obviously get a better score. 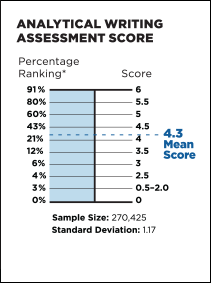 A score of 4 out of the potential 6 is considered competent. While it is nice to be competent, it is worth striving to be good or very good so put in a little extra effort on this section. Individuals taking the computer-delivered test will use a basic word processor developed by ETS. The basic word processor contains the following functionalities: insert text, delete text, cut-and-paste and undo the previous action. 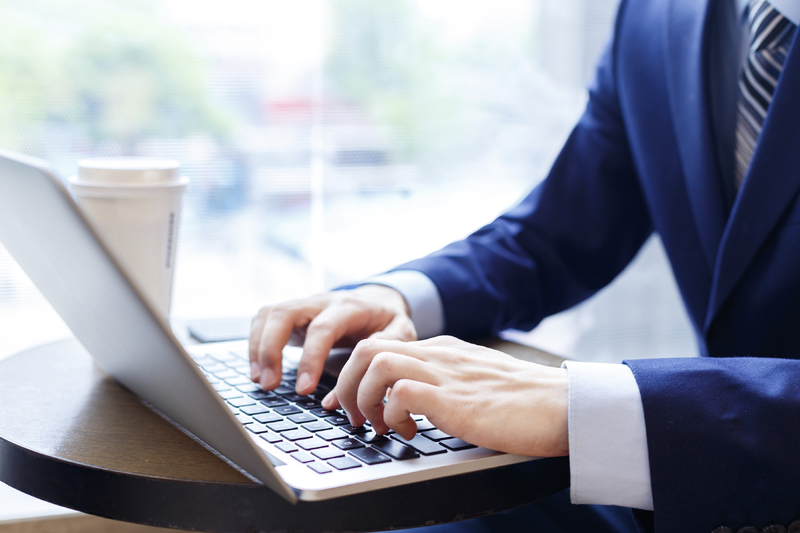 Tools such as a spell checker and grammar checker are not available in the ETS software, largely to maintain fairness with those examinees who must handwrite their essays at paper-delivered administrations. 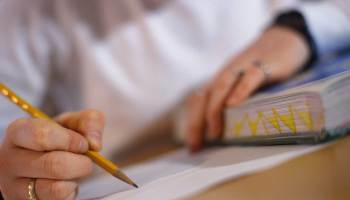 Everyone — even the most practiced and confident of writers — should spend some time preparing for the Analytical Writing measure before arriving at the test center. It is important to understand the skills measured and how the tasks are scored. It is also useful to review the scoring guides, sample topics, scored sample essay responses and reader commentary for each task. 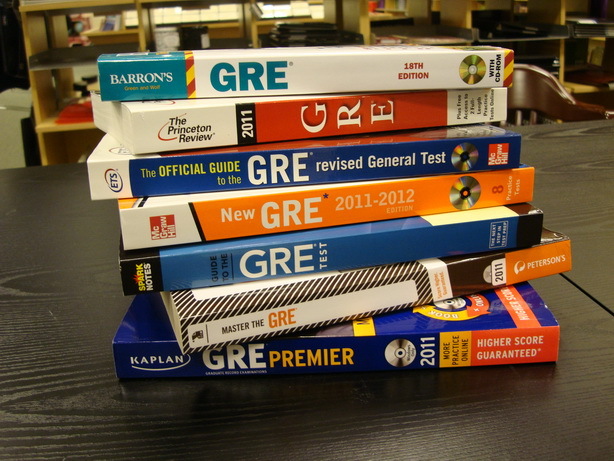 Before taking the GRE General Test, review the strategies, sample topics, essay responses and reader commentary for each task contained in this section. Also review the scoring guides for each task. This will give you a deeper understanding of how readers evaluate essays and the elements they’re looking for in an essay. See the Links below that can help you to grow more on this exam…. Unfortunately, there are just as many exceptions as there are rules in English. It’s easy to get stuck on learning how to speak English properly, if you try to find a reason for everything. Sometimes English is weird and unexplained, so instead the best thing to do is just memorize the strange exceptions and move on. When most students listen to a native English-speaker, they focus on understanding what all the words mean. This is definitely important, but there is a lot more you can learn from listening. Try listening not just to what the words mean, but to how the person says them. Notice which words the person links together in a sentence, or when they say “ya” instead of “you.” Try to remember these details the next time you speak and your English will begin to sound more natural. Easier said than done, right? When you listen to native English speakers, it can be hard to understand every single word that is spoken. They might use many words you don’t know, talk too fast or have a strong accent. Practicing speaking is one of the most fun and rewarding parts of learning English. Once you can speak even a little English, there are loads of ways to improve your skills quickly while having tons of fun. Here are ten top tips for improving your spoken English and having a great time while you do it! Do you struggle to think of the right words in English? Are you afraid to make mistakes? Is not knowing the correct English grammar scaring you into silence? This happens to many people that are learning English. So, you need to know how to improve English speaking? Good! 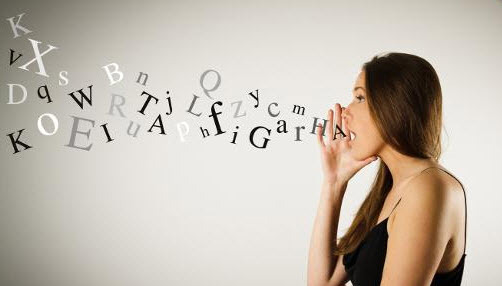 Below you will find eight simple tips on how to improve speaking English. Listening to English trains your ears to understand. It helps you know correct phrases from incorrect phrases. Try listening to any English audio you can find. There are millions of resources out there… and a lot are free. Try listening to different podcasts or music in English. Or you could watch TV or movies in English. Listening to English also allows you to hear it being spoken in natural contexts. Seems obvious, right? But what if you have no one to speak English with? Trying speaking out loud to yourself. 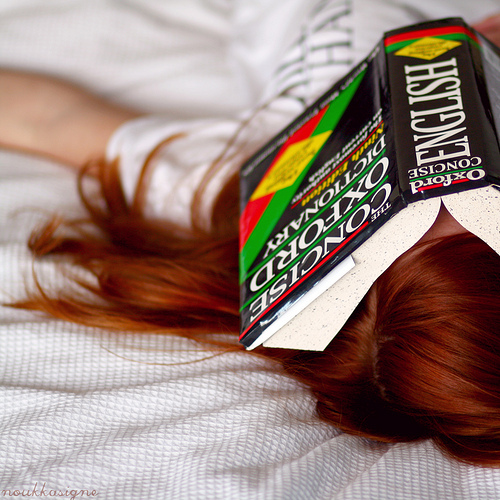 Read a book, article or practice English phrases out loud. As you speak more English out loud, you will train your ears to hear your mistakes and you will be able to correct yourself. You could also register for an online English speaking course to help you improve your English speaking quickly. Okay, maybe you won’t necessarily make millions of mistakes… but who’s counting? If you need to know how to learn English speaking, then you can’t be afraid to make mistakes. No one speaks perfect English. Don’t be silent because you do not know how to say something; just do your best. By being silent you will not learn from your mistakes. By trying to speak English you will teach yourself what sounds right and will learn to fix your commons errors. Open your mouth and start talking! Yes, you heard read right. Don’t stop speaking English because you don’t know the proper verb tense to use. Native English speakers will be able to understand you even if you use incorrect English grammar. The most important thing is that you are trying to speak. If you confuse a native English speaker while talking with them, they will likely ask you clarifying questions to ensure they understood you correctly. There are many phrases in English that you will hear and use over and over again. Instead of memorizing single words, you should memorize entire phrases. After a little practice, you will start using these phrases automatically without thinking. You need to keep your words simple to ensure you are improving your English speaking . Do not try to say complex things. Speak in simple short sentence in English to ensure you are understood by all. After you have mastered basic or beginners English speaking then you will be able to start speaking in more complex ways. 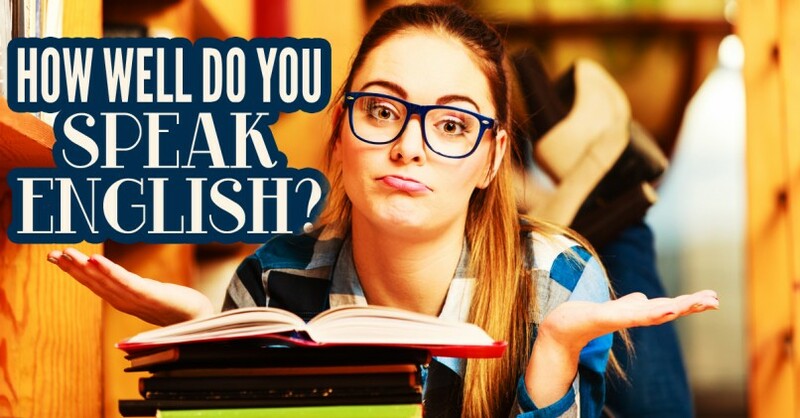 Many English language learners get stuck when trying to improve their speaking skills. This is because they are concentrating on translating instead of speaking. If you focus on the words coming out of your mouth and not what their exact meaning is in your native language; you will improve. At the beginning, you may only understand 30 or 40 percent of what is being said to you. That’s perfectly fine. Don’t stop speaking and translate. To get by, you just need to understand the basic meaning of what is being said to you. Not. Every. Single. Word. Improving English speaking is not just about becoming proficient but also sounding natural when you speak English. By using some of the words and phrases you hear native speakers use, you will start using real English instead of textbook English. Knowing how to improve English speaking should not be difficult. If you use these tips on a consistent basis you should be able to improve your English speaking skills.